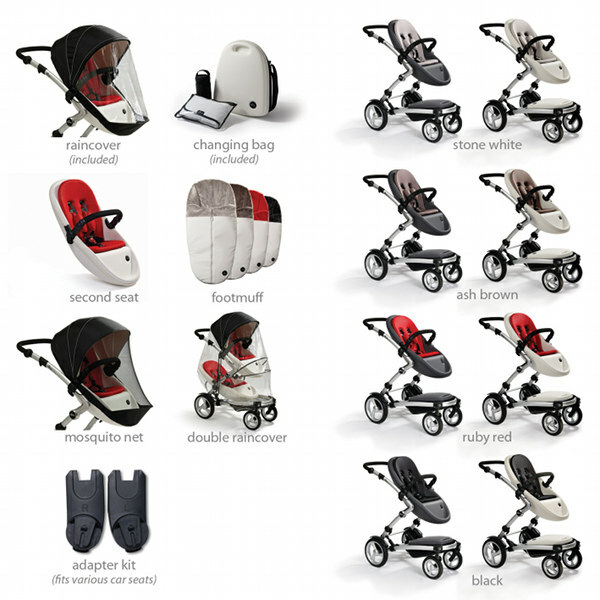 Babyology Exclusive – Mima Kobi and Xari to launch in Australia April 2011! This is the exclusive we’ve been sweating on for months here at Babyology – indeed I’m breaking a sweat to get it written up for you in time to make school pick up! 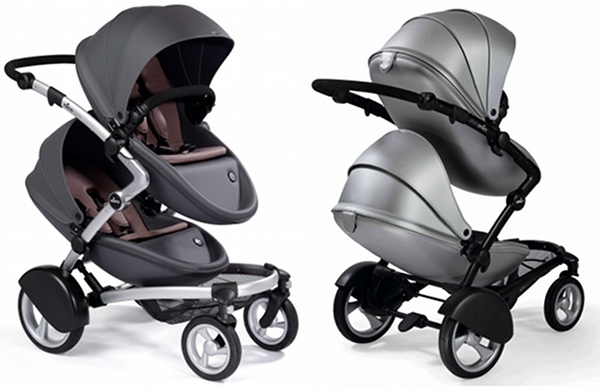 Babyology is ecstatic to announce to Australia that the Mima Kobi and Xari prams will launch in April and arrive right here in May and June! We’ve written about the Kobi before, the innovative double pram whose appealing rounded design caught the eye of many a parent and made our favourite pram list last year. Just look at it in all its glory; it’s love, I tell you! That super-special silver colour is a limited edition colour called Cosmo – check out the other colours and options below. What we’ve never written about before is the lightweight single pram, the 9.2kg Mima Xari (below)! It has the same “bassinet inside” system as the Kobi, which means the seat converts to a bassinet in about fifteen seconds! It’s the lighter weight option for those on their final baby, who don’t envisage needing a double pram. 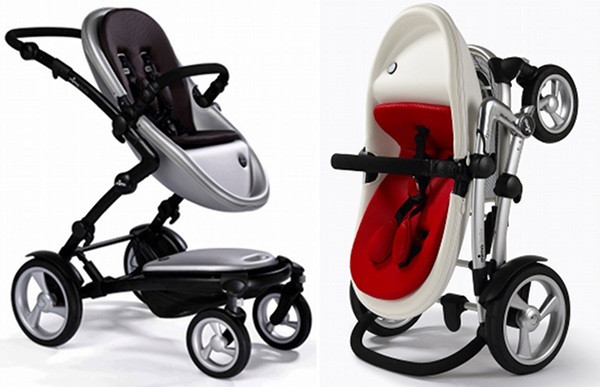 Designer Davy Kho designed both ingenious models – we absolutely love the idea of an inbuilt bassinet! No expensive optional extras and no having to store a large item that’s only used for a short time. Congratulations to Davy Kho of Mima for creating such beautiful machines – we’re sure our Australian parents will absolutely love the ultra-modern design! 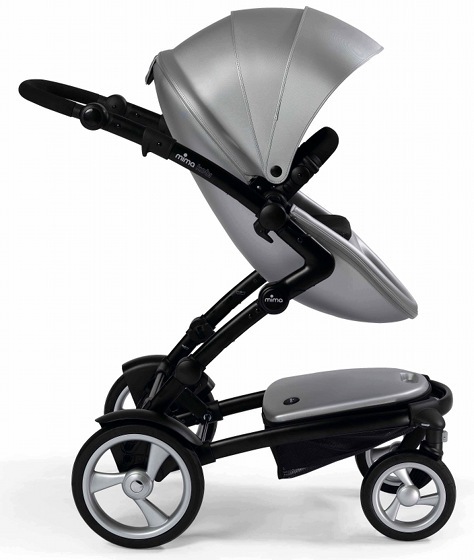 It will also accommodate the Peg Perego Primo Viaggio car capsule using the optional adapters. Thanks to Nursery Elegance, the Australian distributor who will update us soon about pricing and who will run the official launch at the Melbourne Baby & Toddler Show from 8 to 10 April. 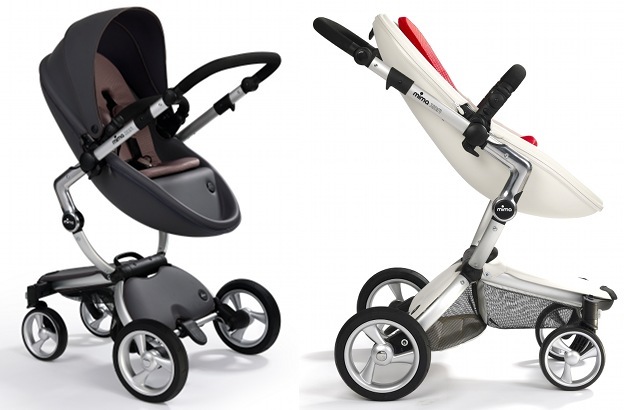 Update – the Mima Kobi and Xari are now available from Pram Warehouse! 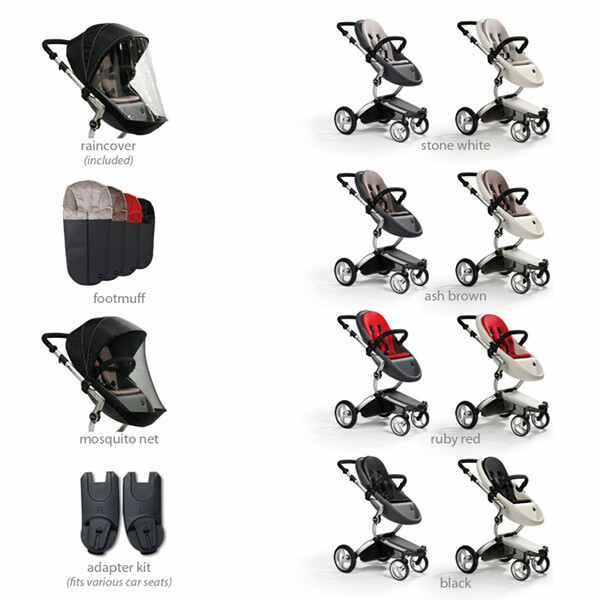 The single pram Xari is $1099, not including the Starter Pack and the Kobi is $1199 not including the Starter Pack. The additional seat unit is also available and priced $299.